Making my way through the bustling streets of London made me cherish the less crowded areas when I found them. 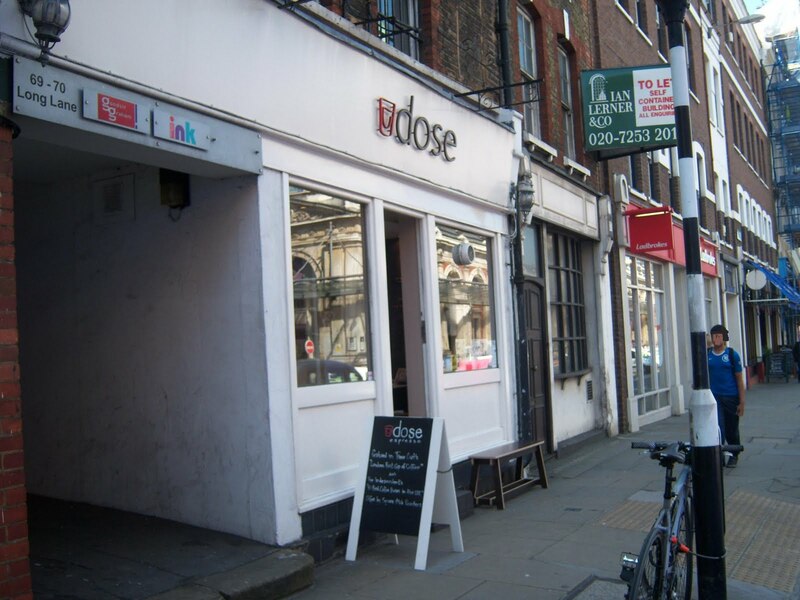 One nice walk in particular was near the Museum of London on my way to a coffee operation called Dose. Dose first gripped my attention from a video documentary of a coffee crawl (who was in this video or where you can view it, I failed to write it down). What attracted me was their use of guest coffees (aside from their usual roaster of Square Mile) as well as the ambitious push to be "the best coffee in London." The cafe exists as a simple yet sharp white building with two windows flanking the main entry. Inside, the space is small with efficient seating to either side and a snazzy magnet letter menu. I started with an espresso from Square Mile (not sure which blend), a short pull with great crema that displayed lemon candy, bitter cocoa, hints of cherry, nutmeg, rum and seltzer. After (smiling and) washing that down with a glass of water, I moved onto an aeropressed Ethiopian Yirgacheffe full wash (also SM). The coffee delivered blackberry and blueberry preserves, wheat grass, grape, a little vanilla and a body similar to french press. Both coffees were delicious and in my euphoria, I forgot to check the tea. 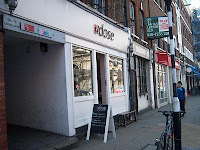 In a nutshell, Dose provided a good dose of great London coffee. While I wouldn't be qualified to designate their rank in London's coffee scene, they are certainly somewhere at the top. Give them a shot for sure.